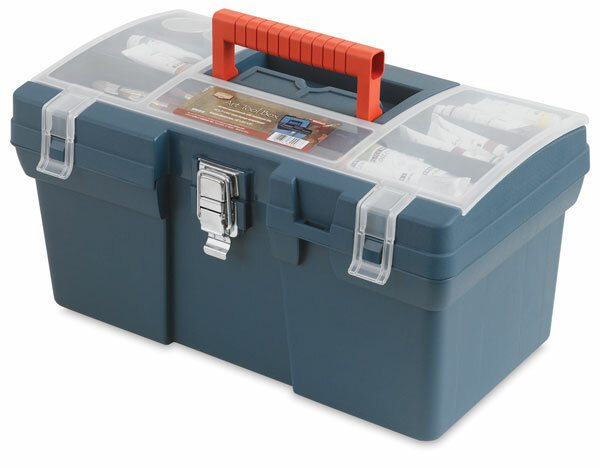 Convenient storage for a variety of art and hobby supplies, the Alvin Heritage Medium Art Tool Box is made of durable blue plastic and features a handy, sectioned top compartment with a translucent lid that snaps shut. Inside, a 14"H x 6¾"W x 1¾"D tray lifts out to reveal a main compartment. ® Alvin is a registered trademark.Heritage is a trademark.